For travelers short on time in Wanaka, this one-hour cruise and walk to Ruby Island is an ideal way to experience the lake and mountains. 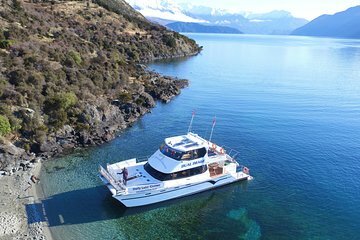 Glide across Lake Wanaka to Ruby Island in comfort on a luxury catamaran. There, enjoy an easy walk to lookout points that are great places to take pictures from. Families and senior travelers will enjoy this tour, as it’s suitable for all levels of mobility.